There are also 2 indoor rock climbing gyms in town: Inner Strength Rock and the Gym of the Rockies. There are no ski resorts near Fort Collins. The closest ones would be the ones Boulder. Vail/Breckenridge/Keystone etc. are 2-3 hours away from Boulder on a good day; with weekend traffic, double that. Adrienne and her husband usually go to Eldora Mtn. or Winter Park to ski on weekends, which are closer and does not require going on I-70 where all the backups begin. Fort Collins is about 54 miles (one hour) north of Boulder. So add on an hour to the above times to get times to ski resorts from Fort Collins. There might be some closer backcountry for nordic skiing, I’m not sure. Probably some golf courses or parks in Fort Collins groom some x-country trails if that counts. So I now know why Fort Collins is a lot less expensive than Boulder (maybe half the cost). Though one can see the Rockies from Fort Collins, they are a bit farther away. I went biking from Loveland (about 10 miles south of Fort Collins) towards the mountains, and from Loveland they are a good 10-15 miles out. From Fort Collins, more. 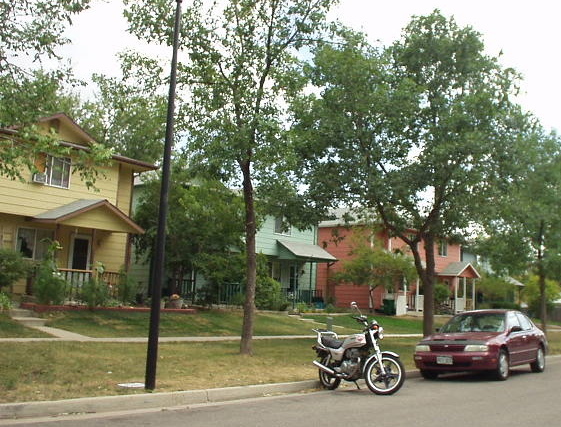 Fort Collins is located in the plains/prairie lands, so there is lots of land for expansion. This is not the case in Boulder. Fort Collins is quite a bit farther from x-country skiing and its downtown isn’t quite as nice as Pearl Street (just a matter of degrees though; I thought the Fort Collins downtown was nice. The caliber of restaurants and shopping is somewhat more upscale at the Pearl Street Mall though). There are few “dream homes” in Fort Collins (e.g., something with a superb view or is really opulent). Near downtown are bungalows that are old (kind of like Boulder) but are mostly well-maintained. Then there is suburban sprawl with tract home developments—large homes on small lots, good values, but somewhat cookie cutter nonetheless with just a few immature (small) trees. In contrast, Loveland has several properties that are really splendid for about the same cost. Loveland, however, lacks a downtown. Basically, everyone in Loveland does their shopping at the nearby strip malls off of Eisenhower Rd. and Highway 287. Check out the awards Fort Collins has received recently. January 5, 2007 (Fri): Having lived in Fort Collins now for over a year, I can emphatically say I absolutely love this town and there is not another place in the U.S. I’d rather be living in at the moment (and I’ve checked out quite a few—see my Great American Road Trip report.) During the last year I have also posted several more articles about specific events and activities in Fort Collins; check out the rest of my blog, particularly my special category entitled Fort Collins, CO.
For more “naturesque” pics, also check out these photos from the self-supported Wellington-Carter Lake bike ride I did in September 2006. It was one of the most gorgeous rides I have done. 1. Fort Collins is ~75 miles to the Denver airport (about an hour via I-25/E-470 toll road to DIA). Shamrock Express is the main (only?) shuttle service to DIA, and is excellent. The Fort Collins-Loveland airport is much closer, but flies to Las Vegas only. 2. Traffic is laughable here compared to Stockton/Manteca or the San Francisco Bay Area. Even during rush hour, the highways near Fort Collins don’t have much traffic. Traffic closer to Denver/Boulder can be kind of bad during rush hour, but still much better than the SF Bay Area. 3. It doesn’t snow very much in Fort Collins, maybe only 10-15X per year. Most of the snow comes in February and March, and usually doesn’t stick to pavement more than half a day or so during those months. Snow in December and January can stick but those months only average 6″/month total. Fort Collins is a great place to live if you like seeing snow but don’t care to play or drive in it (and if you do, just head to the mountains, which are close). 4. Fort Collins is a town of 128,000 people so there are grocery stores closeby. 🙂 And unlike Stockton, it’s not overrun with big box/chain stores or restaurants. They exist here, but there are also numerous mom-pop stores, especially in Old Town. We also do have a mall in Fort Collins — the Foothills Mall (with Sears and Macy’s) — but that is kind of suffering, whereas Old Town is thriving. You can check out the rest of my blog for life on a day-to-day basis. I love this town! 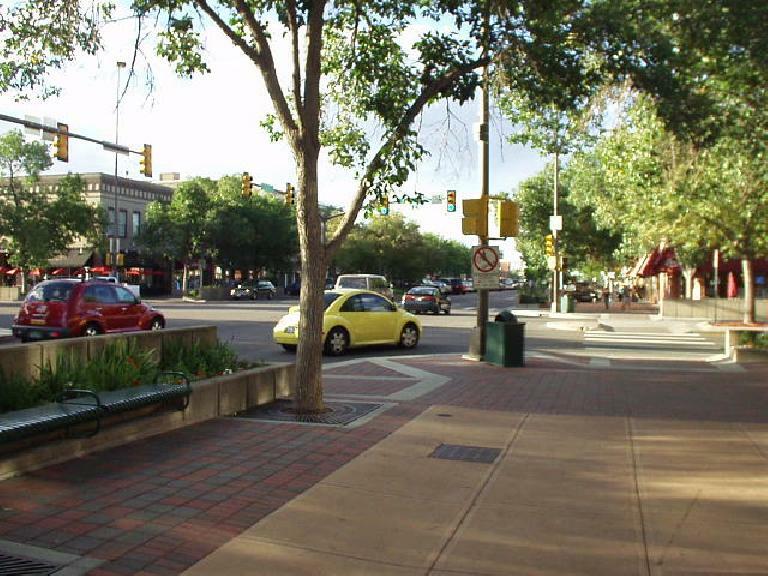 Greeley is another college town, but the stereotype of that town is that it smells of cows, is more conservative, and more like the wild west than Fort Collins. It’s farther away from the mountains too. It also has the highest foreclosure rate in the nation (2006). 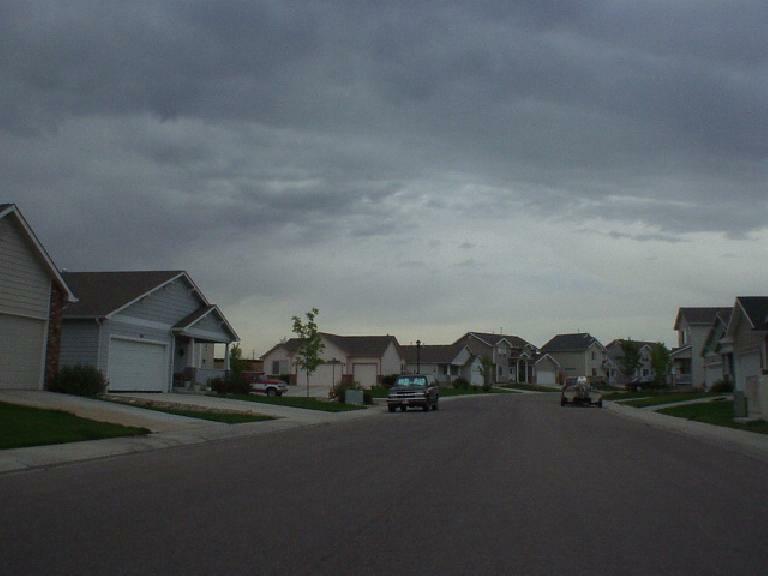 That’s not to say it’s a bad town… indeed, I think most people who live there love Greeley. Brighton… suburb of Boulder… lots of tech companies there. Due to its proximity to Boulder/Denver, housing costs are higher there than Fort Collins, I think. That’s about all I know of that town. My husband and I are currently living in Washington DC and are looking to get out ASAP. I grew up in the Rocky Mountains and can’t stand being away! There are many things we hate about DC and want to make sure that we are not getting into anything the same as here again. If you could answer a few questions for me I would really appreciate it 🙂 My husband has actually applied for a job in Ft. Collins and is supposed to come down on December 2nd for an interview but we are still a bit hesitant. 2. How would you consider the people in Ft. Collins? Living in DC I have never met so many rude and iggnorant people in my life. There must be something in the water here!! 3. You say you can see the mountains from Ft. Collins….but there are no mountains in Ft Collins? 4. I have looked at some real estate there but just wanted another opinion. Do you think its good? In DC you can’t even buy a one bedroom condo for less than 300K. 5. Are there lots of places to do outdoor activities there like camping, fishing, dirt biking etc? 6. I play hockey and am just wondering if there is an ice rink there? We really want to move somewhere where there is tons of outdoor things to do, theres not insain traffic, the people are friendly, and there are MOUNTAINS!! I got scared reading your blog saying a ski resort is 2-3 hours away. I read that there were 13 different resorts within a 100 mile distance of Ft. Collins. This is a huge deal breaker for me! I grew up with a ski hill in my town and another one ever 30 mins. I really miss that lifestyle. If you could answer any of my questions that would be super helpful. I would appreciate anything else you had to say as well. Thank you for your time…its greatly appreciated! 1. It seems like in virtually every town, no matter how small, people complain about how traffic is getting worse, and Fort Collins is no exception. But compared to DC, the traffic here is nothing. I came from the SF Bay Area, and the traffic situation in Fort Collins has been a big relief to me. Even on the rare occasion I have to drive to/from Denver 70 miles away during rush hour, it is not bad (and most of the traffic is near Denver and not near Fort Collins). I’ve also rarely spend more than 1-2 minutes looking for parking, even downtown. 2. The people in Fort Collins are super friendly, tolerant and unprejudiced. People look you in the eye and in my two years here have yet to run into a “redneck” or someone really rude or inconsiderate. That includes the drivers. 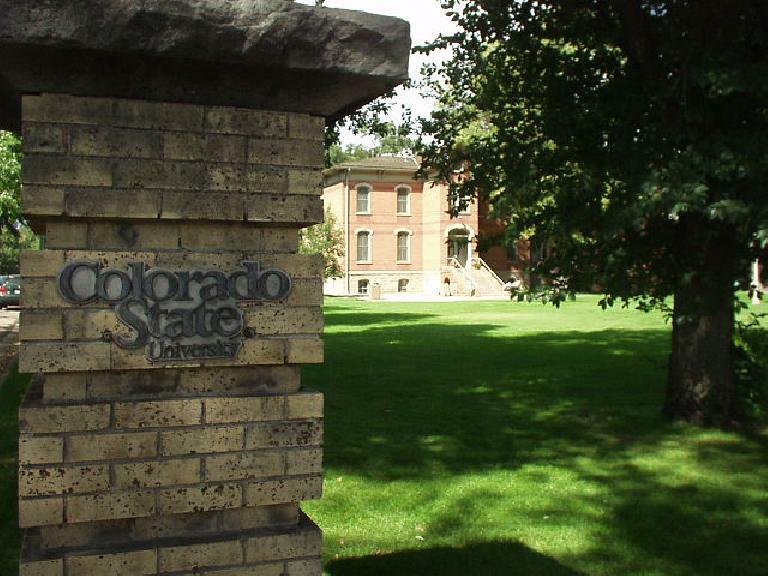 Due to having Colorado State University and many tech companies here (probably the second-best college in Colorado; its vet school is even consistently ranked #2 in the nation after Cornell), the level of education of people here is high in general. The town is also reasonably diverse as well (although not as much as you may be used to in DC). The people here was one of the many things that attracted me to the town. 3. We have mountains directly west to town! See this post for the view out of my front windows. The mountains in front are of the Horsetooth range; if you look carefully, you can even see Long’s Peak (a fourteener) and some of the Rockies behind. I even have friends who live in the mountains just 25 minutes from the center of town, and they still have a Fort Collins address. 4. 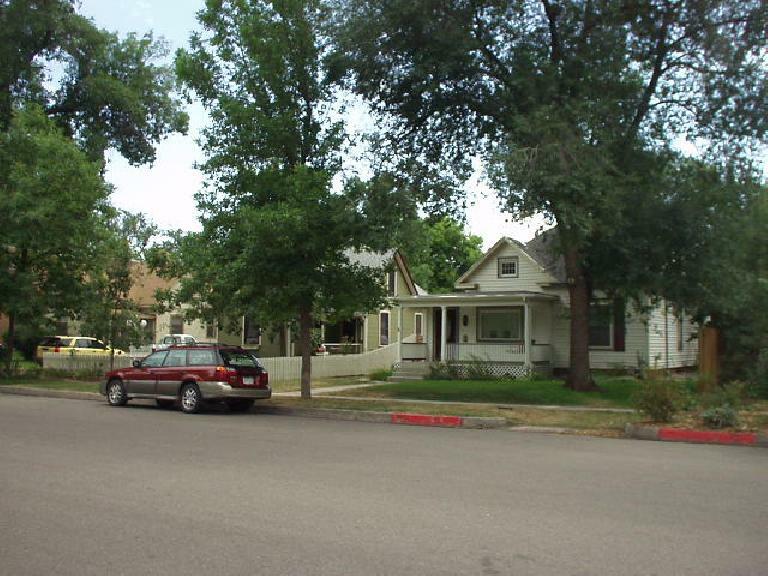 Real estate prices are very reasonable in Fort Collins — especially when compared to DC. The median price of homes is roughly ~$250,000. You could find a brand-new-spanking home with 3 bedrooms, 2.5 baths, >2000 square feet, and a front and rear yard for under $200,000 easily. And despite the housing slowdown in the rest of the nation, home prices have been increasing or remaining steady, and the average days of market for homes ~$200k (about 79 days, I think) have actually gone down compared to last year. 5. You can do virtually every outdoor activity out here with the exception of surfing. 🙂 Mountain biking, road biking, hiking, fishing, all exist in Fort Collins at near-world class levels. There’s rock climbing locally (and world-class climbing farther south near Boulder), and of course world-class downhill skiing exists in Summit County just 2-3 hours away (Breckenridge, Vail, Aspen, etc.) Some other (not as good) downhill resorts, such as Eldora and Winter Park, are much closer. Good backcountry skiing exists in the Rocky Mountain National Park (45-60 miles away) and Cameron Pass (70 miles away). I didn’t know there were 13 ski resorts within a 100-mile radius of Fort Collins, but that would be awesome if that is correct information! For triathlons, my best winters for training were out here (better than California since it doesn’t rain out here in winter). 6. We have the Eldora Pool & Ice Center (Epic), which is inexpensive and near-world class. I’d go there on a weekday afternoon to swim for $3, and have my choice of 20 lanes! Hope this helps. If you’d like more info while you are down here, feel free to drop me a line. I should be around and would be happy to talk to you and your husband more if I am around then. I think you’d love it out here! My husband and I, and our 9 month old, are currently living in Davis, CA and possibly looking to relocate. We are getting tired of our outrageous mortgage payments for our small townhouse, which leave us little money to do all of the things we love, expecially travelling. We love hiking, road and mountain biking, running, swimming…basically anything outdoors. We would be leaving family behind if we moved, so I have some questions. 1. Are there neighborhoods that offer a mountain, semi secluded environment while still have neighbors close by? Could you recommend some? I would love to be able to hike from my front door. But I would still like to have neighbors, especially with a young child, and possibly more on the way. 2. I know the city is growing fast, but how fast? We’re concerend about the sprawling suburbia that might develop. Davis is nice because they don’t allow very much building here. 3. What are property and school taxes like? I know sometimes home prices are great but the taxes can drive monthly payments up. 4. Are there any holistic type health centers? My husband’s job is sort of in this field. 5. What is the area like for kids? I really want our kids to be exposed to nice people, cool (and close) outdoor life, and good education. I would like to be able to out our little guy in a backpack to go snowshoeing or cross country skiing. Are those areas really 45-60 mins away?? That seems so far. 6. Last, we are thinking of coming to visit sometime in Feb. Are there any places you would recommend checking out? We’re thinking about getting a realtor to check things out, even though we wouldn’t be able to move for about 10 mos. Thanks so much for your time and advice. Happy New Year! Hi Beth. Here are answers to you questions. Happy new year to you too! 1. Yes, definitely. There are numerous neighborhoods either at the foot of the foothills, or you could live in the Horsetooth mountains. Both have a Fort Collins address; Horsetooth is a little farther away but is still only a 25 minute drive to Old Town (the heart of Fort Collins). Plenty of hiking opportunities out the front door. 2. Its major growth occurred in the 1990s. The city is growing but not at a crazy pace. Maybe in a couple decades there will be a lot of sprawling suburbia around Fort Collins (as there is around Denver and Boulder), but so far it doesn’t seem too bad. All the neighboring towns (Wellington, Tinmath, Windsor) are still super small except for Loveland, which is 10 miles south of Fort Collins with a population of 65,000 or so. 3. Property taxes are low compared to much of the nation; e.g., ~$2000 on a $300,000 home. Something like that. At first that doesn’t seem right since I think prop taxes are supposed to be over 1%, but I’m not sure of the exact formula. One thing about CO, though, is that it doesn’t have something like Prop. 13 in CA. So prop taxes would go up every two years if property values are going up. But that never bothered me too much since increasing property values also mean increased equity in the house. There are several other yoga studios, pilates studios, massage places, health and fitness centers, etc. ; you can look up local.google.com to see for yourself. Downhill resort skiing, however, is at least 70 miles away. The best local snowshoeing and cross-country skiing is at Horsetooth Mountain Park and Lory State Park, just about 5-25 minutes west of the center of town depending on where you live. I’ve done both on the recreation trails behind my house on the north side of town, but since the city itself doesn’t get too much snow, the mountains west (300-600 feet higher) are a better bet. 6. You have to check out Old Town, of course. Since you are into outdoor recreation, I’d suggest going for a hike or something at Horsetooth Mountain Park and Lory State Park. If you could rent a bike or go for a run, you could check out our miles and miles of paved recreation trails (Spring Creek Trail, Poudre Trail, Mason Trail, Powerline Trail, etc.) cutting through neighborhoods. For places to live, check out the neighborhoods at the base of the foothills or by Horsetooth Mountain Park and Lory State Park. The neighborhoods farther east of the foothills may not have hiking but most of them will have recreation trails and parks nearby. The best school system here, from what I understand, is the Poudre School District. There were more students (something like 17) accepted into Ivy League Schools from Poudre High than all of the others combined. Your blog is great, first of all! I am writing to ask about city lakes and parks, since we may be relocating from Minneapolis (land of 10,000 lakes) and I would miss them so much! Here the lakes in town are mostly public-access greenspace, with sidewalks all the way around (3-4 mi ea). They all have sand beaches too, and great big picnic areas, which is great for kids and summer fun. And finally, we love to rent a pontoon boat and go cruising on the bigger lakes in summer. Does Ft. Collins have any lakes like this within the city limits or close, maybe as part of the park system?? We would be looking for places to hang out with our kids, ages 3 and 5. Hi Gena. Thanks for stopping by my site and leaving your comments. Yes, we have a lot of lakes too; probably not as many as Minneapolis, but still, a lot! Sometimes I go for a run from home for a couple hours, and I’d pass by six different bodies of water. Most seem to be private (e.g., only residents of the neighborhoods are allowed to use them, if that), but we do have a number of public lakes. There is also Boyd Lake south of Fort Collins and north of Loveland that’s popular with boaters. Close to the center of town is Sheldon Lake at City Park, where kayaking lessons are held sometimes. In the winter, Sheldon Lake is cordoned off for ice skating. As I mentioned there are lots of private lakes, but one needs to live in the neighborhood. I live in a subdivision called Hearthfire by Richard’s Lake, and Richard’s Lake is literally just 500 feet out my front door. In the summer time I do some open water swimming out there, and I see neighbors on occasion wheel over their kayaks over there. Hope this helps. Good luck deciding on whether to make the move and take care! We are thinking of moving your way. I was wondering how often you can cross country ski in Lory State Park or Horsetooth during the winter? Is it a rare opportunity or something you can do a lot during the winters? I used to live in Pittsburgh, where my local park had cross country trails, but it was rare that I got to use them. I am working on a new website for my employer in Loveland, CO and would like to use one of your images to highlight the oldtown area of Fort Collins. Do I have your permission to use one or two of your images? I also live in Fort Collins and really enjoy the area’s amenities. Thanks for your website. Nice pictures and lots of information. 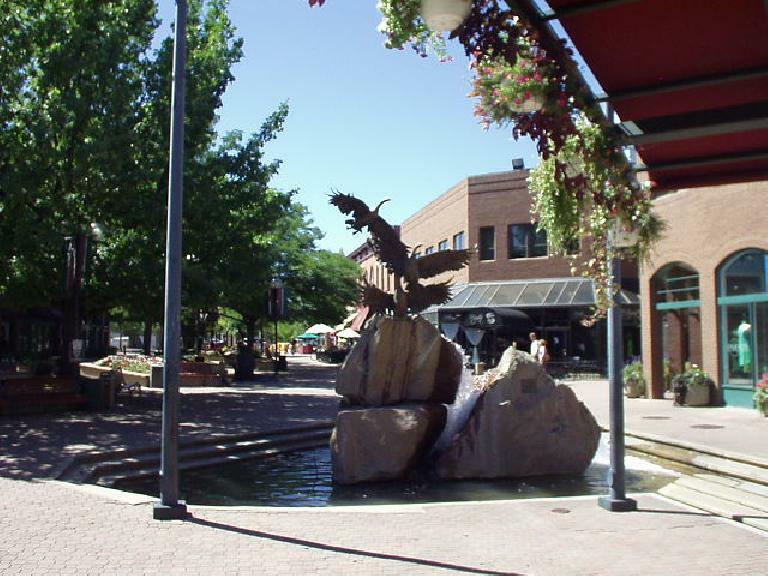 I am pretty familiar with Fort Collins because I have actually lived there for 10 months as an exchange student back in 86, went to Rocky Mountain High School, and I have been back there for a few days in 2001. I currently live with my wife and 2 kids ( 2 & 5 years old) in the Great Vancouver Area, BC , Canada and we are getting tired of long commutes and specially outrageous home prices. You cannot find a decent home here for less the 800K, which is crazy. My question for you would be if you can comment about the IT industry in Fort Collins. I have heard in the past that Fort Collins was going to become and IT hub with lots of companies moving there, but not sure if that really happened. I stumbled upon your website, which is very informative and well done! I am also considering relocating to Fort Collins area, and reading your posts encourages me even more. I am glad to hear that you found the winters quite reasonable in Colorado. I am not a big fan of snow, and if I had it my way, I would take spring, summer and fall only. I am currently trying to narrow down my search regarding a place to live. Thank you for providing very important information. Great info.! and greatly appreciated. I am engaged to be married and for our honeymoon at the beginning of June ’09 we will be traveling from the West coast to the East and I have planned on coming through FC. My idea for traveling from coast to coast is to, alongside with who will then be my wife, find a place we would both like to settle. I’ve been to Colorado but she hasn’t but she loves the mountains like me. I’m an artist an I teach college sculpture and ceramic classes, and she’s just complete her MBA degree (she’s the left brain and I’m the right). Anyway my question is what is the art scene like there? We’d both like to eventually open up an art organization that had public classes and workshops. Do you think FC is conducive to that sort of endeavor? I just happened to come across your interesting site while looking for weekend accomodations in Fort Collins. My husband wants to move back there after 9 years of living in Albuquerque, NM. I’m more inclined to make a move to a small Colorado ski town, but I’m always open to travel and find out what fits our lifestyle. I was especially surprised to find out all the “best city awards” for Fort Collins you sited. From the affordability, growing economy, most educated population, environmentally friendly, and wellness oriented, beautiful surroundings and there is water to boot! Sounds too good to be true. I am intruged. However, my husband and I are raising our daughter and plan to have more. It is very important to me that our child(ren) grow up in a culturally diverse environment. Sheltered suburbia is a deal breaker. I would really appreciate it if you would elaborate on the people and conservative/liberal views that might be prevailent.